Canada’s National Zero Waste Council and Provision Coalition applaud the formal commitment made today by eight leading Canadian companies — Kraft Heinz Canada, Loblaw Companies Ltd, Maple Leaf Foods, Metro Inc, Save-On-Foods, Sobeys Inc, Unilever Canada and Walmart Canada – to take measurable action to prevent and reduce food waste in their own operations by 50 per cent by 2025. The companies will measure individual progress using the globally recognized Food Loss and Waste Accounting and Reporting Standard and will each report on their progress annually. This measuring and monitoring action is critical to reducing food waste successfully. 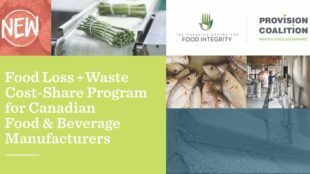 The companies recognize that their commitment is in alignment with the National Zero Waste Council’s A Food Loss and Waste Strategy for Canada, and that theirs is a first step on a journey of long term action to address a national problem. The National Zero Waste Council and Provision Coalition have been selected as key collaborators in this endeavor due to their own leadership on food loss and waste, providing resources and support ranging from Love Food Hate Waste Canada – a consumer-facing campaign – to an award winning Food Loss and Waste Platform, which empowers business leaders to identify and realize significant reductions in waste. Both Provision Coalition and the National Zero Waste Council are looking forward to supporting long term business action through knowledge-sharing, research, and innovation. “Food loss and waste present social, environment and economic challenges for communities, governments and businesses across the country. These challenges demand bold, collaborative action,” says Malcolm Brodie, Chair, National Zero Waste Council. 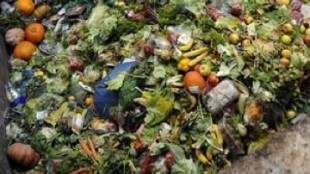 While the participating companies have already taken significant action within their own organizations to reduce food waste – such as diverting surplus food to those in need, or reusing food that isn’t appropriate for human consumption as livestock feed, compost, or alternative energy – they recognize that more can and must be done. A shared commitment to food waste prevention and reduction can speed up change and achieve greater results. “Canada’s leading grocery retailers and manufacturers are showing that they clearly understand the role they can play in accelerating tangible and practical solutions to address food loss and waste across the supply chain,” says Norm Beal, Chair, Provision Coalition. In Canada, it is estimated that 58 per cent of food produced and distributed is wasted annually, 32 per cent of which is avoidable. This avoidable waste costs Canadians more than $49.5 billion each year, reduces the supply of food available for us to eat and contributes to climate change through methane emissions in landfill. Food waste occurs across Canada’s food supply chain with significant value and volume loss happening at the point of processing and manufacturing, and retail and household. Successfully addressing this problem can be achieved with the kind of collective action and leadership demonstrated by the Canadian companies announcing their commitment today. The Commitment will be highlighted at Provision Coalition’s upcoming The Power of Data for Making Food Sustainably conference, taking place on February 26 & 27, 2019 in Vaughan, Ontario. Measured against a 2016 baseline. Hi Roy – I haven’t seen you in a while! Good to hear from you. Let’s talk about your topic. [email protected]. Cheers.